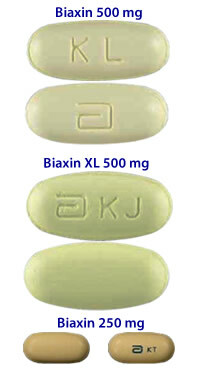 Biaxin is a medical preparation that is referred to the drug family of macrolide antibiotics. This medication is a trademark for Clarithromycin that was invented for fighting bacteria in a patient's body. This medication is commonly applied for curing multiple types of various bacterial infections that may affect skin and respiratory system of a human. If applied along with other preparations Biaxin can be used as treatment of stomach ulcers triggered by such bacteria as Helicobacter pylori. 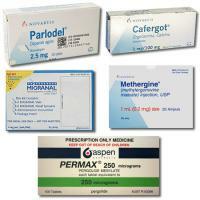 People with advanced AIDS forms also choose to use this medication for preventing serious bacterial infections. Biaxin is also recommended when there is need to decrease bacteria's functions to produce protein, in such way this drug stops bacteria's growth. This medical preparation is commonly produced by Abbot Laboratories and is referred to the class of medications known as macrolides. This medication is based on Clarithromycin that can bind to bacterial ribosomes and interfere with their production of proteins responsible for bacterial multiplication and growth. The main component of Biaxin - Clarithromycin - can be easily recognized - it is a crystalline powder of white color, soluble in acetone, partly soluble in acetonitrile, methanol and ethanol and insoluble in water. You can buy Biaxin in different forms: as IR tabs (instant-release), ER pills (extended-release) and as granules for oral suspension (taken as a liquid). Every oval film-coated IR pill of yellow color printed with BIAXIN has at least 250 mg (up to 500 mg) of Clarithromycin and other non-active components. Clarithromycin as a major component of Biaxin stands for an antibiotic that is applied for curing a wide range of bacterial infections. 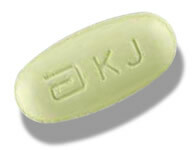 It is offered as a trademark Biaxin in suspensions (liquid for oral intakes) and short-acting pills. 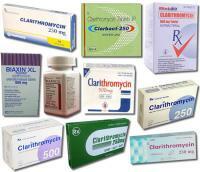 As it was mentioned, Clarithromycin is widely applied for treatment of bacterial infections. This medicine was also tested and allowed for curing these enumerated infections only on the terms they were triggered by certain types of bacteria. Bear in mind that not all types of bacteria are responsive to Biaxin treatment. And some bacterial strains may eventually become resistant to this drug. Diverse bacteria may have various resistant patterns to Biaxin in different regions of the same country. In addition, it is significant to point out that Clarithromycin turns to be inefficient when it comes to treatment of viral infections like flu or cold. Trust your healthcare provider if he asks you to go through certain tests before starting to take Biaxin tabs. These tests may show if certain bacteria in your body causing infection are resistant or not to Clarithromycin treatment. Please, consider the fact, manufacturers advise to prevent giving this drug to infants younger than 6 months. This medication was allowed for the use only in older children and adolescents. In certain cases you therapist may recommend using this drug for treating some infections not mentioned in the list of FDA-approved indications for Clarithromycin. Such indications are called as off-label. To these non-approved uses of Biaxin are referred infections caused by bacteria susceptible to Clarithromycin. Before using this drug for off-label indication, please consult a therapist. Not under any circumstances, you are to change dosage unless your doctor recommends adjusting it. Also keep in mind that you have to finish prescription even if you feel better than before using Biaxin. Cessation of Biaxin until the end of prescription may lead to the repetitive development of antibiotic resistant bacteria. Only the type and severity of an infection in your case affect the length of your Biaxin treatment. Some bacterial infections will demand using this drug only few days in a row while the others may require much longer oral administration. Patients who were diagnosed with severe kidney insufficiency or a kidney disease have to tell their therapists about this in order to lower the dose of Clarithromycin. Usually the prescribed dose in this case has to be reduced in half. The dosage rules on different forms of Biaxin - IR, XR, XL pills or oral suspension - are different. IR and XR tabs as well as oral suspension are to be applied at least twice per day (sometimes thrice per day). As for XL pills - it is enough to take one bar once per day. Do not forget to shake thoroughly an oral suspension before using it. It is up to you whether to use pills or liquid suspension on an empty stomach or with meals. It is preferably to apply XL tabs with food to avoid their upset stomach. You can also decide at what time to apply Biaxin pills. Just make sure you take them every day at the exactly same time. If you need to use pills twice per day, make sure the intervals between doses at least last no less than 12 hours. If you have any doubts or concerns how to use these pills for treating an infection, please consult a therapist. In order to provide the best conditions for efficient treatment with Biaxin you need to remember about precautions and warning referred to this medication. For instance, people who suffer from liver or kidney disorder or who are using some strong medication may require special treatment when it comes to this medication. These warnings are also referred to people with some food or drug allergies and for pregnant or breast-feeding women. In addition, inform your therapist if you are currently breast-feeding, pregnant or have plans to become pregnant any time soon. Also discuss with your doctor all medications, vitamins, suspensions and supplements even herbal ones you are currently taking or was taking during some time not long time ago. If during or after using Biaxin you started to experience bloody or watery diarrhea, immediately appeal to a therapist. This symptom (despite the fact that normally Clarithromycin may cause diarrhea) can be a life-threatening sign since watery/bloody diarrhea can happen after a drug negatively interacts with bacteria known as Clostridium difficile. As it has been mentioned earlier, Clarithromycin may trigger QT prolongation. This risk may increase especially if a person already has this defect, the certain type of arrhythmia or simultaneously takes any medications that can cause this defect as well. Avoid overdosing and overusing of Biaxin pills since in such way you increase the risk for the development of antibiotic-resistant bacteria. If you feel unwell go to a healthcare provider and he will prescribe the necessary amount of Clarithromycin for treating certain bacterial infection. During administration of Biaxin you may develop yeast infections (certain mouth or vaginal infections) that can be a reaction to the use of this preparation. Immediately inform your healthcare provider about these infections. Please do not skip prescribed doses and do not cease taking this drug sooner than was recommended. In such scenario, you are risking to develop a bacterial resistance to this medicine. Biaxin cannot be applied during pregnancy or lactation since FDA pregnancy rated this medical preparation with category C. Discuss with your healthcare provider Biaxin use if you are currently breast-feeding or going to become pregnant soon. This drug doesn't pass through breast milk and won't cause birth defects. Interaction of Biaxin with certain medical preparations may also lead to negative reactions and decreased efficiency. Have hypersensitivity or allergy to Biaxin's active or non-active components. Or if you had before an allergy reaction to any other macrolide antibiotics as Ery-Tabs (Erythromycin). Was suffering in the past from severe liver problems. Immediately call an ambulance or appeal to a doctor if you have noticed the sings of an allergic reaction to Clarithromycin. These symptoms are difficulties in breathing, hives, facial swelling (lips, mouth, throat or tongue). Bear in mind that there are possible other adverse reactions this medical preparation may trigger. The prevention of bacterial growth and multiplication is the main effect provided by Clarithromycin that can interfere with the bacterial synthesis. This drug can bind to 50S subunit of ribosomes in bacteria and in such way, it provides the inhibition of peptides' translation. 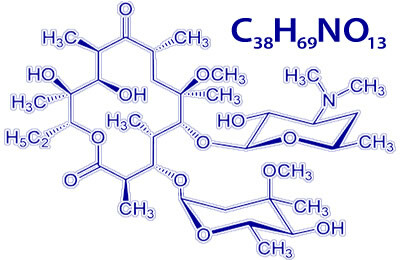 Clarithromycin is very close by mechanism of action to another macrolide Erythromycin but it turns out that it is more efficient in fighting with Gram-negative bacteria like Legionella pneumophila. In addition to this beneficial bacteriostatic effect Clarithromycin can cope with the growth of such bacteria as Streptococcus pneumonia, Neisseria gonorrhoeae and Haemophilus influenza. The researchers working for the Japanese company Taisho Pharmaceutical invented Clarithromycin in the 70's. They were trying to make an analogue of the popular macrolide antibiotic Erythromycin without its known side effects like upset stomach, nausea and stomach pain. In 1980 the company Taisho filed for patent protection for their new medication and started to release it on the Japanese pharmaceutical market under the trademark Clarith in 1991. 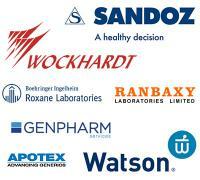 Since 1985 Taisho collaborates with Abbot Laboratories that produces this medication under brand name Biaxin. 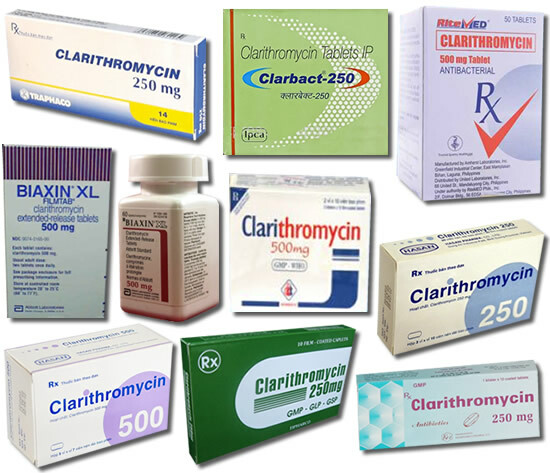 The U.S. version of Clarithromycin was allowed for sales by the FDA in October of 1991. Since 2004 this medication is also produced in generic forms in Europe and USA. As it has mentioned earlier, Biaxin is a trademark medication based on Clarithromycin that is produced by Abbot Laboratories. Since all patents of brand Biaxin have already expired there is legally available generic version of Clarithromycin. What are strong sides of generic Clarithromycin comparing to Biaxin? All 1000 mg ER tabs of generic Clarithromycin do not technically belong to generic versions of Biaxin XL pills since initially Biaxin XL medicine wasn't offered in such strength. All generic versions of popular brand medication pass through a row of tests in order to compare their efficiency with their brand forerunners. 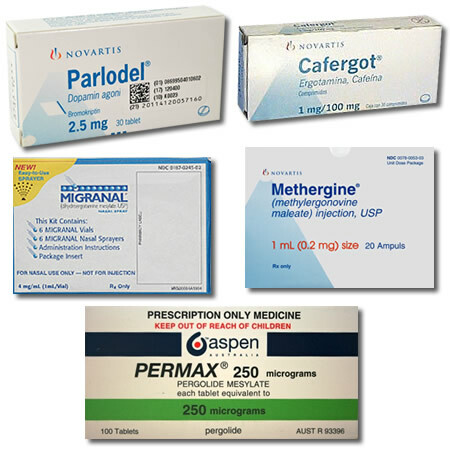 The FDA (shortly for U.S. Food and Drug Administration) checks thoroughly if generics can be called cheaper equivalents to brand medications they were derived from. From this point of view each new generic gets a rating. An "AB" rating denotes the FDA finds a generic drug equal to the brand medication. Currently all generic Clarithromycin drugs has the rating "AB" except ER 1000mg pills. What manufacturers produce generic Clarithromycin? When the two types of medications are taken together, the levels of benzodiazepines may increase, causing excessive drowsiness, that's why it's important to coordinate the dosage of the mentioned drugs with your healthcare professional. Biaxin may increase the levels of the active ingredients in ED medications. 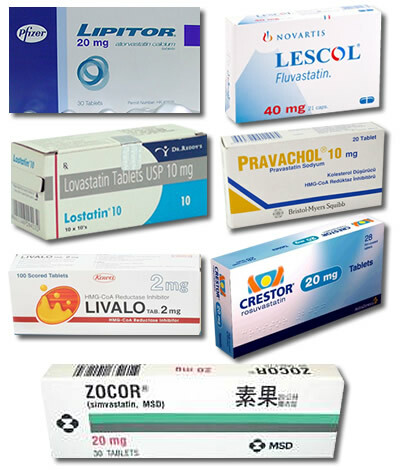 First of all, you must avoid the combination of Biaxin with such statins as lovastatin or simvastatin. Generally, when Biaxin is taken with statins, their level in blood rises and so do the risks of side effects. Digoxin is a medication, supporting the heart contractions with an active ingredient of natural origin. When taking together, the drugs may lead towards harmful effects: Digoxin action may provoke too slow or irregular heartbeat. Carbamazepine isn't processed properly in the patient's organism when the two medications are taken together. If blood levels of carbamazepine rise, that's fraught with a toxic effect, potentially manifested in such symptoms as dizziness, drowsiness, or loss of coordination. Though being a natural product for the treatment of gout, this remedy is highly toxic, and Biaxin can increase its toxicity, which is generally dangerous and can be fatal, especially for the patients with the impaired kidney or liver function. When the two drugs are administered at the same time, their dosage must be regulated by a physician. In this case usually the dosage of PDE5 inhibitor is decreased or its usage is postponed until a patient finishes the course of Biaxin. The combination of Biaxin with these migraine-treating medications belong to the moderate degree of interaction. That means you may take this combination but you need to consult with your physician about it first. Biaxin may slow down the process of the ergot breakdown by the liver and cause side effects. Theophylline intreaction with Biaxin may increase serum theophylline concentrations in blood if these medications are combined. Biaxin is often prescribed to HIV/AIDS patients as a preventive measure against the threat of the Mycobacterium avium complex, however, before you begin to take this two types of medications, you must consult with your healthcare provider. Pimozide may have fatal consequences if taken together with Biaxin. That's why it's crucial to avoid this dangerous combination. 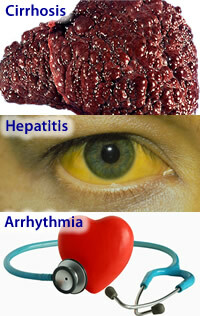 QT-Prolonging Medications, same like Biaxin, influence the heart rhythm. The combination of the two drugs may be potentially dangerous as their effect increases, as well as the possibility of risk factors. Combining Biaxin with Warfarin may cause bleeding, that's why the dosage and the possibility to take them together must be coordinated with your doctor. Generally speaking, Biaxin, has quite a high interaction capacity. 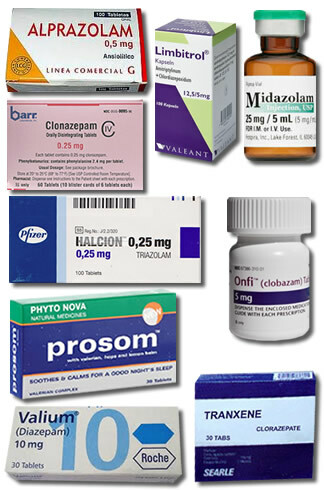 There are other medications, not mentioned above, which may interact with Biaxin. When combined with another drug, the effect of either may be decreased, increased or changed. Be attentive, when considering any drug combinations with Biaxin and seek for qualfied medical recommendations before you start taking them.